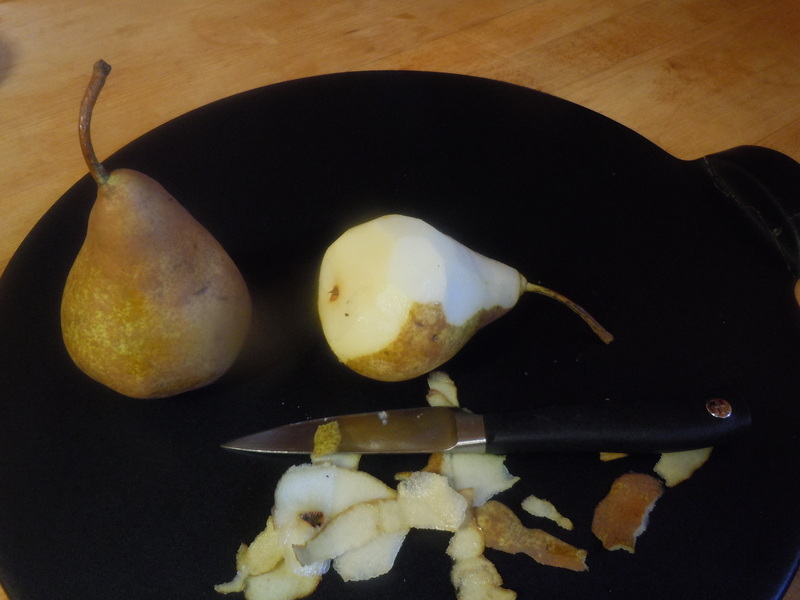 With a small, sharp paring knife, peel, core and slice the pear. 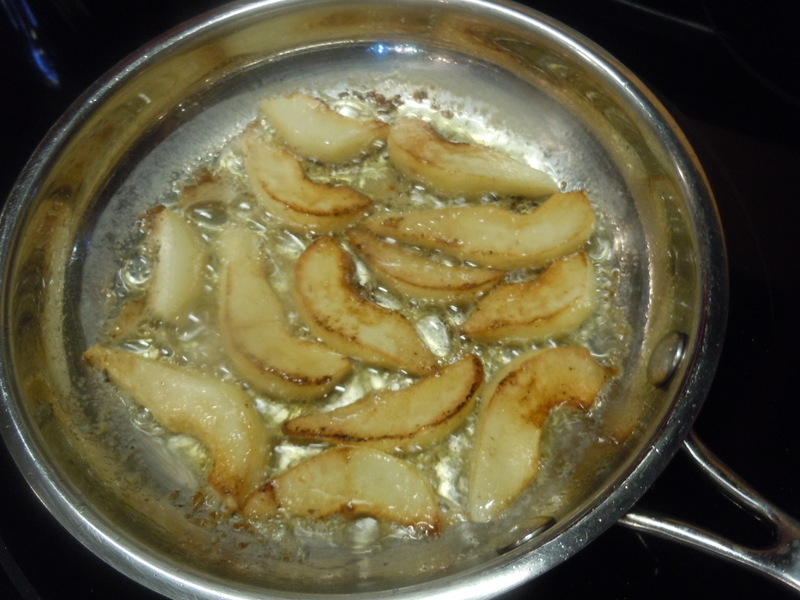 Cook in the butter on medium low heat in a single layer until the pears are caramelized – about 5-7 minutes total. 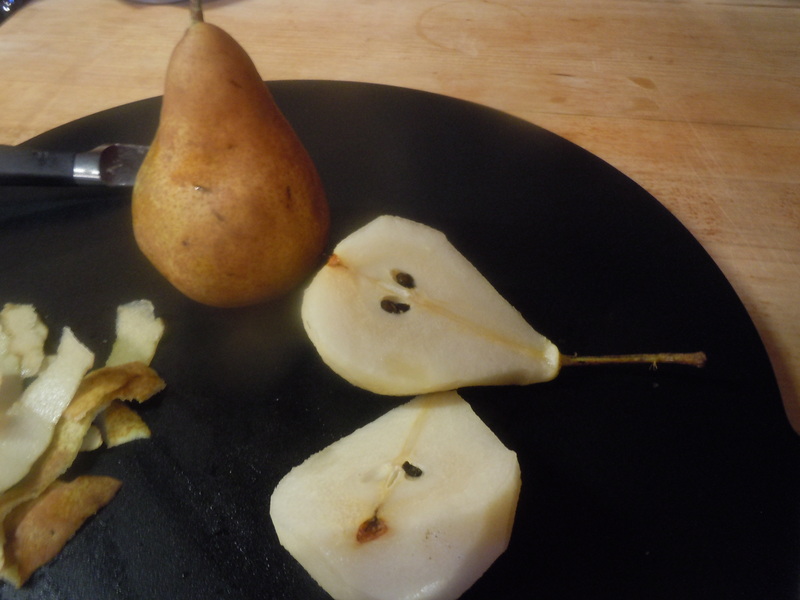 Remove the sliced pear and drain on paper towels. Sprinkle with the cardamom, cinnamon and ginger. 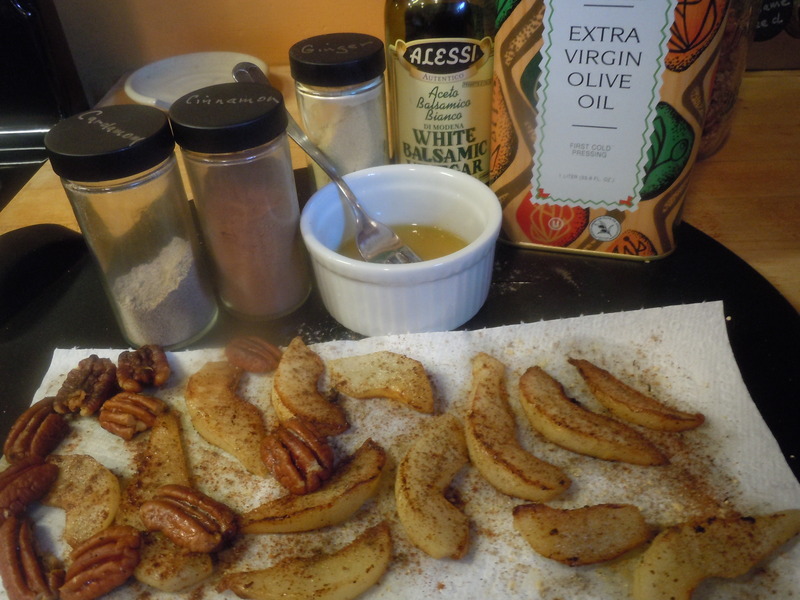 In the same butter, saute the pecans. Cover the pears and pecans and set aside until needed. Arrange the arugula on salad plates. 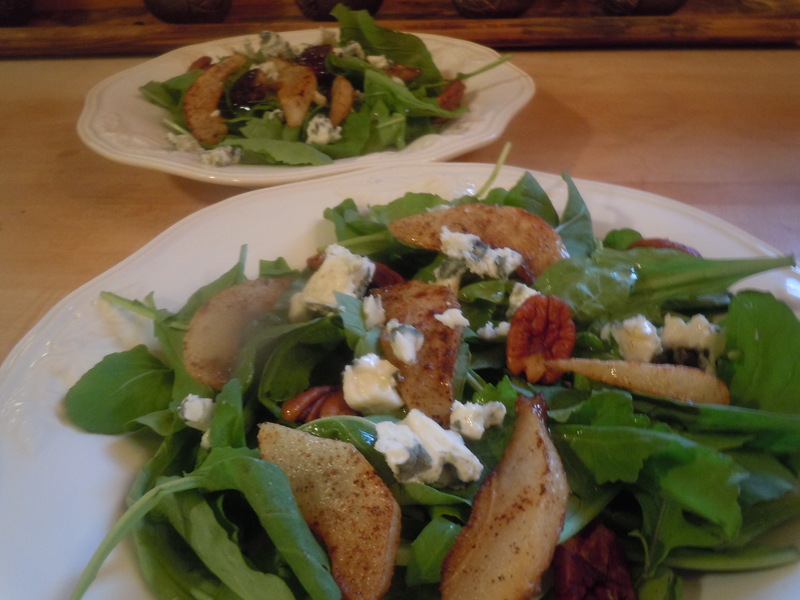 Top with the pears and pecans. Sprinkle on the cheese. Combine the oil, vinegar, salt, pepper and ginger. Drizzle over the salads.